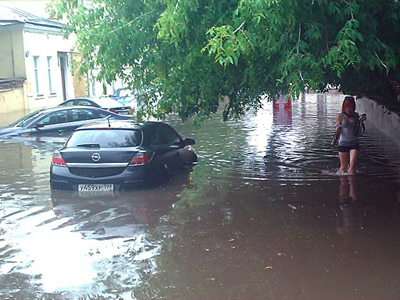 Russia is being battered by massive tropic-like downpours in various regions, turning city streets into rivers. The latest disasters hit the city of Chelyabinsk, in the Urals, and the Republic of Chechnya, destroying communications and vehicles. ­Chechnya is the latest in a string of Russian regions to experience the rage of nature, as heavy rains in the mountains which started on Saturday night have already left over 47,000 people without electricity. The republic is now extensively using available emergency power supplies, while the weather forecast is negative, promising more heavy rains and hails. 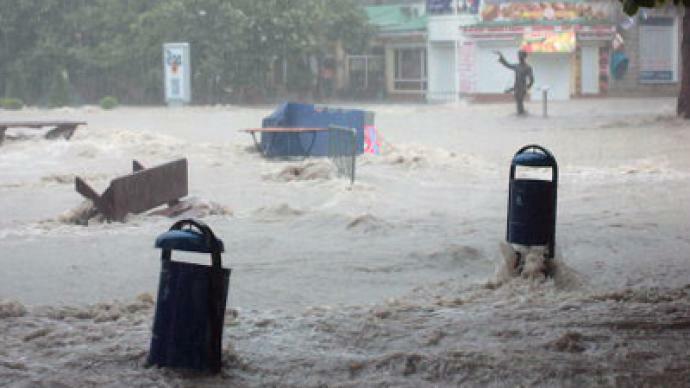 Shortly beforehand, Chelyabinsk – a city in the Urals Mountains with a population over a million – was drenched after a two-hour rainfall poured on to city streets. A thunderstorm combined with wind squalls, causing a series of power cuts. The local railway station was completely flooded. Outside, knee-deep water left pedestrians housebound and damaged countless cars parked in lowlands. 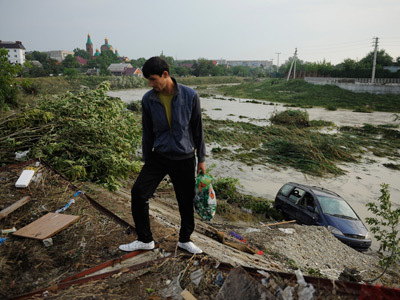 It follows a similar disaster in Moscow when, on Friday July 13, it was affected by a record rainfall. Three were reportedly killed by lightning, and some of the streets in the capital’s historic center turned into furious streams, sinking dozens of parked cars. In some places the water was about one meter deep. 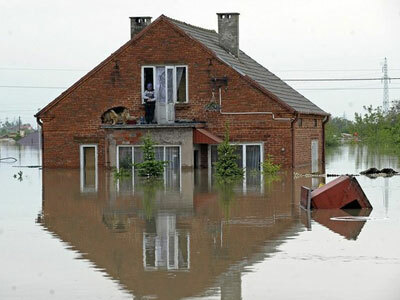 But evidently, it cannot be compared to the tragedy a week ago when record rainfall caused massive flood in Russia’s southern Krasnodar region on July 7. The wave of water coming from the mountains inflicted massive destruction in the area. According to the latest reports, 172 people lost their lives, while some 35,000 people have been affected by the catastrophe in total. 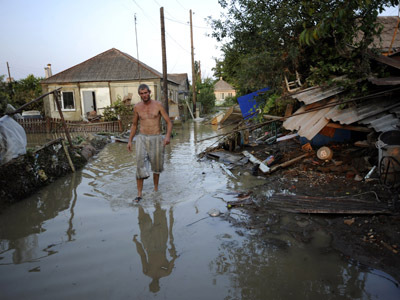 The city of Krymsk was worst hit by the deluge, with Gelenzhik and Novorossiysk also sustaining serious damage. 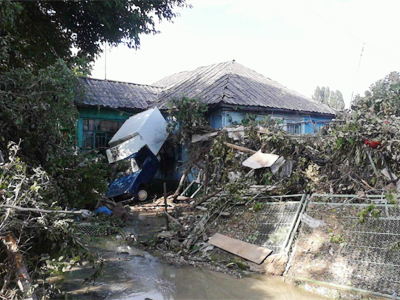 Over 5,000 houses were devastated by the flood waters in the Krasnodar Region, 4,600 of them in the city of Krymsk. Altogether in the region some 250 houses were completely destroyed. Electricity, water and gas supply was discontinued for several days and locals are still struggling with the aftermath of the catastrophe.